The Futsal Whites have been outclassed in their final game of the CFA International Futsal Tournament in China, going down 7-0 to Vietnam last night. New Zealand, who competed well with the World No 3 Russia on Saturday night, looked to back up that performance against the best side in Asia, but their rivals caused them problems with their pace, accuracy and clinical ability in front of goal. Marvin Eakins, the Futsal Whites player coach, told his players after the match to keep their heads up high after coming up against some quality opposition. Eakins made three changes to the starting five who went down 7-3 to the European No 1 Russia. Hamish Mitchell came into goal in place of Elias Billeh, while Tai Barham, Dylan Manickum came in for Jordan Ditfort and Brayden Lissington. Vietnam, who had defeated China 4-0 in their second game, made a strong start and jumped out to a 2-0 lead within the opening 10 minutes. It could have been more, but goalkeeper Mitchell made a telling double save in the 11th minute. New Zealand had their chances, but could not finish and were denied on several occasions by a superb performance from the Vietnam keeper. In the 12th minute, New Zealand danger man Dylan Manickum forced the Vietnam keeper into action with a good shot, but he was up to the challenge. Vietnam turned defence into offence and they scored two quick goals to get to 4-0. In the 15th minute, Lucas Silva found himself one on one with the keeper but was also denied by a fantastic save. Vietnam went into the halftime break with a 4-0 lead. The Kiwis again adopted a high press early in the second half but could not convert their chances and Vietnam made them pay. Their fifth goal was a long range effort and their best goal of the night. New Zealand their opening goal. Vietnam scored on the counterattack and then once more to complete a comfortable win. Eakins said there was a lot of valuable lessons to come from the performance for the Futsal Whites going forward. 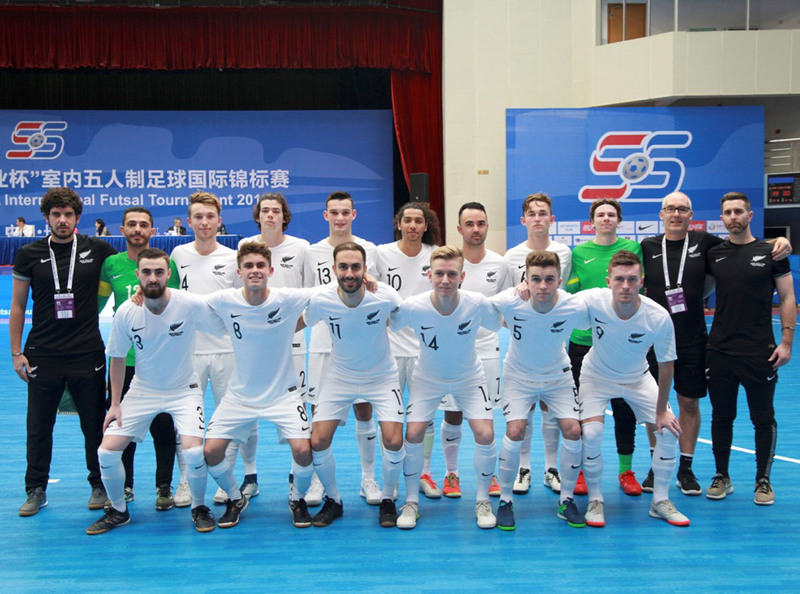 New Zealand competed with three high quality futsal teams in the CFA International Futsal Tournament in Changsha and Eakins said the learnings from the experience have been priceless.